David Love is a family owned business that caters the needs of homeowners in offering the best bathroom fitting services in Edinburgh, Bonnyrigg, Dalkeith and Midlothian. We provide a huge range of services from bathroom design, supply and fittings to professional bathroom installation services as well. 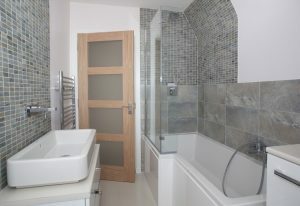 The bathroom suppliers and fitters working in our company are highly dedicated and carry out a professional approach. The team listens to the requirements of the clients and then they offer expert solutions to provide complete satisfaction within budget. What Makes Us Different From Other Bathroom Companies? Whether you are looking for ways to have new fittings in the bathroom or want to install new appliances like showers and bidets we have a solution for you. We will provide you with a free quotation without any hidden costs. If you compare our prices you will find we are competitive compared to the other companies in Edinburgh, Gorebridge and Dalkeith. For us, client’s satisfaction is the utmost priority. We achieve this through our dedication towards a quality job and we know how to create a high-end bathroom. Our fitters use the latest techniques and procedures to bring the best results out. Example of our work in Edinburgh is available by request. We are happy to visit your bathroom and provide advice and suggestions regarding the fittings and installation. 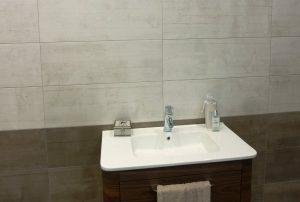 Most of the bathroom showrooms in Edinburgh and Midlothian are limited; however, we do not have fixed suppliers. We provide the best bathroom products from a large range of suppliers. We provide warranty on our products and services too. 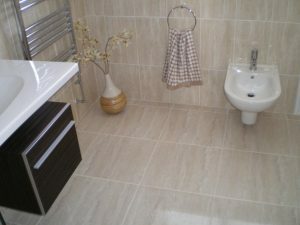 If you are looking for reliable bathroom in Edinburgh or in Dalkeith; David Love Property is the best choice.